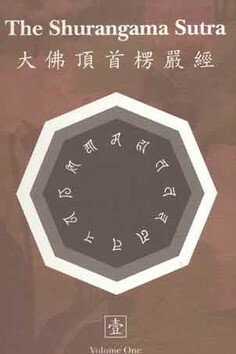 The Surangama Sutra and "Unseeing"
The Śūraṅgama ("Indestructible") Sūtra is a Mahayana Buddhist sutra, probably of Chinese origin and probably written in the late 7th-century (though it purports to come from India and much earlier). Though frequently regarded as Buddhist apocrypha, the Surangama Sutra has been especially influential in Chan Buddhism. As to what stands prior to the Word, not one phrase has been handed down, even by the thousand holy ones. One thread maintains its continuity before your eyes through countless eons. Entirely pure, entirely naked is the white ox under the blue sky. The golden-haired lion stands with eyes upturned, ears erect. Put the lion aside for a while and tell me, what is the white ox under the blue sky? To have seeing and unseeing is to light a torch at midday. To have no seeing and no unseeing, is to pour out black ink at midnight. If you believe that seeing and hearing are like the phantom's shadow, you will know that sounds and colors are like flowers in the sky. 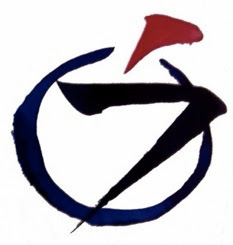 Tell me: Is there any sutra teaching at all that we Zen students may talk about? The Surangama Sutra says, "When I don't see, why do you not see what I do not see? If you [argue that you] see what I do not see, that is of course not what I do not see. If you do not see what I do not see, then it is quite natural that it is not a thing. Why is it not your self?" If seeing were a thing, then you could also see my sight. If seeing alike were called seeing my (seeing), when I don't see, why don't you see my not seeing? If you see my not seeing, naturally that is not the characteristic of not seeing. If you don't see my not seeing, naturally it is not a thing; how could it not be you?" To have seen is a defect of the eyes. The whole elephant and the whole ox blind no differently. All along adepts have been naming and describing. Do you want to see the golden-headed Buddha? Through countless eons, none is more than halfway there. Every atom of every land is halfway there. old Buddhas with short tongues. The ancient Buddha's tongue is short. the jeweled loom barely rotates once. The jade loom barely turns once. Instantly meeting together, who recognizes him? Meeting directly, who knows him? Finally, you'll believe this man who's unaccompanied. For the first time you believe this person cannot be accompanied. The ancients said that when you get here, you can only know for yourself; you can't explain to others. If you say you acknowledge sight as an existent thing, you are not yet able to wipe away the traces. "When I don't see" is like the antelope with his horns hung up -- all echo of sound, traces of tracks, all breath is utterly gone; where will you turn to search for him? The sense of the scripture is total indulgence in the beginning and total restraint in the end. This is a question posed to the Buddha by Ananda. "Why don't you see my not seeing anything?" If you know the meaning of citing this passage, then you can see both this passage and the verse. "If you see not seeing, that is naturally not characteristic of not seeing." -- If you can see it, it can't be called not seeing. There is no sign of not seeing because it is not seen. "If you do not see my not seeing" -- If you say you see not seeing, that is as if there were still some not seeing to see. If you do not even see not seeing, what is this? "Naturally, it is not a thing." -- He shaves flesh from a heron's leg. All things may be seen by the eyes, but not seeing is not a thing. It's not a green thing, it's not a red thing. "How could it not be you?" -- Because it is not a thing, it must be your own awakened mind. The realm that is not a thing is your true vision; true vision is your essential nature. The eye of this recitial by Xuedou, and its function as a koan, is in this one statement alone: "How could it not be you?" The point is that of all the myriad things, none is not you. You are you, I am I. One can only know oneself. "Unseeing" is pure subjectivity. It appears in absolute samadhi. It is what Yuanwu refers to in his phrase, "what stands prior to the Word." Pure subjectivity is not aware of itself, just as the eye doe not see itself. If it is seen -- and it can be seen when it has turned into a direct past -- it is no longer pure subjectivity but is an object, which is being viewed by another subject. This, "If you see the unseeing, it is no long unseeing." If you do not see the unseeing, it is not an object and hence is pure subjectivity. Why isn't it yourself? When we don’t see, why can’t we see our not-seeing? -- This passage takes up the matter of “not-seeing” and asks us why we can’t realize the matter of not-seeing when we cannot see (for example, when our eyes our closed). Although it speaks here about not-seeing, I feel the same could be said about when we do see. In other words: “When we do see, why can’t we see our seeing?” The true world is always one. Once a division into two is made, it is already the phenomenal world. But most people remain unaware of the world of oneness. They might be able to believe that such a world is possible by thinking about it philosophically. But the only way to really experience it is to practice zazen and realize your true nature. “When we don’t see.” This not seeing is one. Why don’t you see that? If we are able to see, it is because there are two things. If it is truly one, there can be no seeing. If there are two things it is the world of phenomena. The essential world is always one. If we see our not-seeing, that is, of course, not the true aspect of not-seeing. -- In other words, if we believe we have seen where there is actually no seeing, this is not true not-seeing. For not-seeing means there is nothing that can be seen. To repeat, the only way is to experience it directly in satori. If we don’t see our not-seeing, then there is naturally not a thing. How can it not be yourself? -- If we say that we cannot see the fact of notseeing, we must realize that not-seeing has nothing to do with things or matter. For, to be sure, whenever there is matter it can be seen. Where there is not-seeing, there is no matter of the objective world. How could it not be yourself? In other words, that’s you! How could it not be you? This is the white ox on the bare ground, this is the true self. It is the world that is always one. When I don't see, why don’t you see that I don’t see? If you say that you ‘see’ that I don’t see, that is naturally not the way how I don’t see. -- These are the words of Shakyamuni Buddha to Ananda. No matter how you try to see it, you cannot see anything. Why is that? Even if you say you have seen what is not seeing, the form of that not-seeing cannot be seen by people. If you say you have seen notseeing, it is not the real thing. If you don’t see what I don’t see, it is naturally not a[n objective] thing. -- If you don’t see the actual essence of not-seeing, that is naturally not some thing. For it it were a thing, you could see it. Not-seeing cannot be seen. Why isn’t it your [own] self? -- In other words, that not-seeing is you yourself. The seer and the seen have become one. Usually we assume there is a division between seer and seen, between subject and object. But actually the one speaking and the one being spoken to are one. You could say that the one speaking is completely absorbed in the one being spoken to. You yourself disappear. Then it is one. None of you left sees the words before sound. When I can't see, why don't you see my not seeing? It's not a thing, and it's nothing but you. guarded like a vanishing wall. total restraint in the end. Its end could be anywhere, at any time. If you don't see my not seeing, then you don't see my seeing either. Since you don't see my sight, my seeing is naturally not a thing. If my seeing is not a thing, your seeing is not a thing either. Since your seeing is not a thing, how could it not be your true seeing? "When I maintain the mind of not-knowing, why don't I know the not-knowing place?" If you know it then it's not not-knowing. "If you don't know my not-knowing ground, then naturally it's not a thing." If it were a thing then it would have properties that you could know. "Why isn't it that you are not not-knowing?" If the two negatives make a positive, this line could read: "Why is it that are not-knowing?" or from the original "Why is it that you are?" If you are not a thing, what are you, and how can you even exist? When you penetrate the koan, "Who am I?" you will know the answer. What this koan is essentially asking is, if you realize that state of seeing as not-seeing, what is that? Is that your true self? How can you say that it's not your true self? Why isn't it that you are not? The text is saying: "You're not a thing, but then if you're not a thing, what are you?" The Surangama Sutra also tells us that conceptual knowledge and opinions are the root of ignorance. When conceptual knowledge and points of view are forgotten, wherever you are is nirvana. When we maintain the mind of not-knowing, nirvana is everywhere. now the window is seen. and the cries of gulls. When the beloved's smile lights up your world, you don't see it. Isn't it just you, through and through: smile, light, beloved? And the world dims. Also you.